African Beaded Necklaces Ntombi Mixed Colors. Handmade by highly skilled African Beadwork ladies from South Africa. Packed in a cellophane pouch with header card. The necklace is adjustable, varying in length between 38cm and 41cm - this is a handmade African beaded necklace and all sizes and weights are an average and may vary slightly. 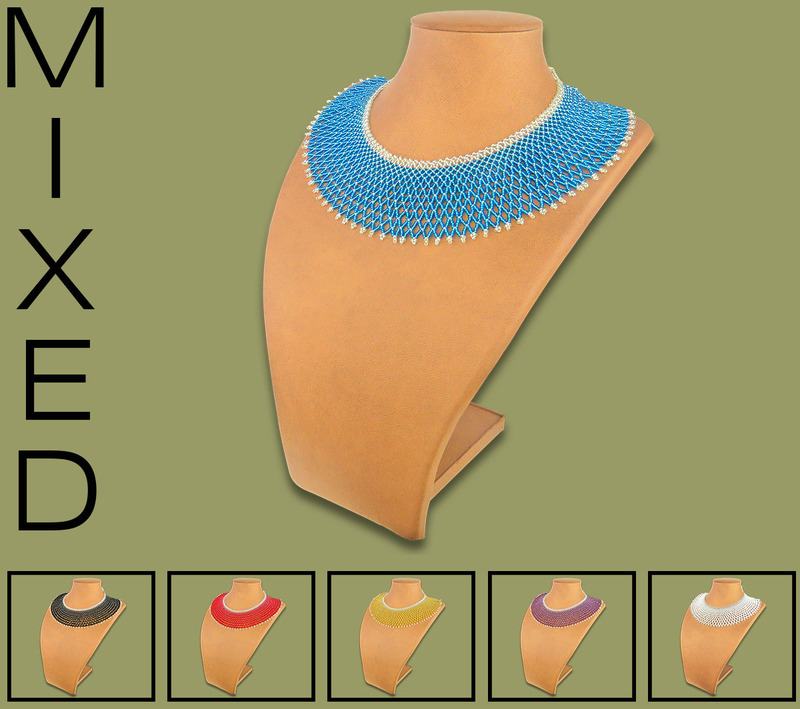 If you choose this option you will receive a wide range of different color Ntombi Necklaces similar to all the necklaces shown in this category. PRICE QUOTED PER ONE NECKLACE ONLY. MIXED NTOMBI NECKLACES ARE SOLD AT A REDUCED PRICE.